This buildup of modernity and ergonomy, of hospitality expertise and sober design, of silence and security, will make a cruise aboard the S55 the most serene and qualitative experience anyone could ever dream of. The S55 is the first of its kind cruising on Asian seas. It is actually powered with 100% solar energy, which brings considerable advantages: a minimal environmental footprint of course, but also an unprecedented sailing comfort. The S55 will sail as silently over the waves as any sailboat, but without depending on the winds, just like motor boats. 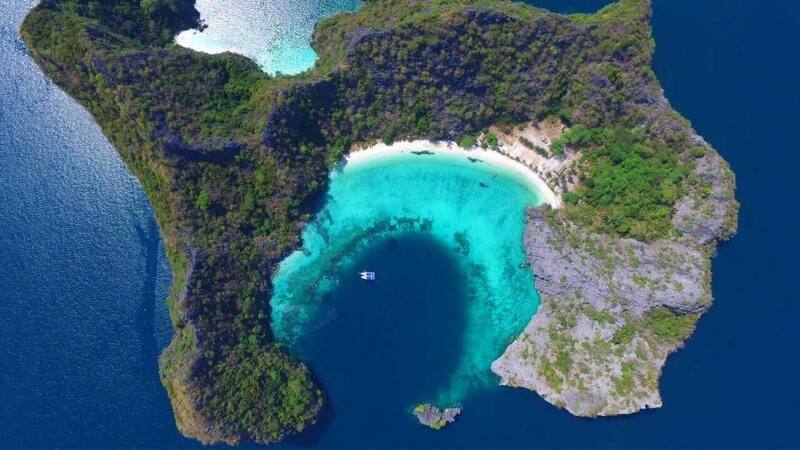 Even the usual generator noises when anchored will vanish and become a memory of the past, letting the passengers focus entirely on the magnificence of Mergui Islands landscapes and sunsets. The yacht was built by naval engineers from all around the world and has had its maiden voyage in the Mediterranean Sea before arriving in South East Asia in December 2018. SILENT S55 is a compact and luxurious catamaran, it is composed of 3 levels and can comfortably welcome 6 guests & 3 crew members. It features 3 outside lounging areas: one on the fly bridge with outside commands, one front and back of the main deck, and a large air-conditioned saloon. The vast panoramic saloon (40m2) is located in the middle of the yacht; it is fully equipped with “L” shaped sofa, dining table for 8 guests, professional kitchen, central navigation station with control panels for all major instruments and indicators. The boat features 4 comfortable cabins: 2 in the front including a large owner’s cabin (7m wide) and 2 cabins in the hulls, each with queen-sized beds. 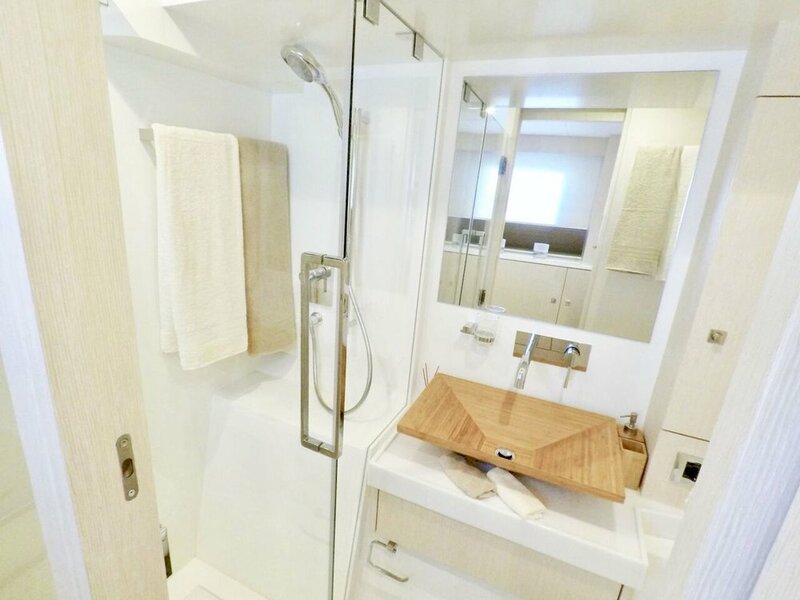 Every cabin has a private en-suite bathrooms including sink, electric toilet and separate shower. Relaxing with the captain on the fly bridge or in the air conditioned saloon will leave no comforts missing. All cabins are fully air-conditioned. MY Silent is built in accordance to the highest cruising standards. This will be confirmed in every detail and experienced once onboard. 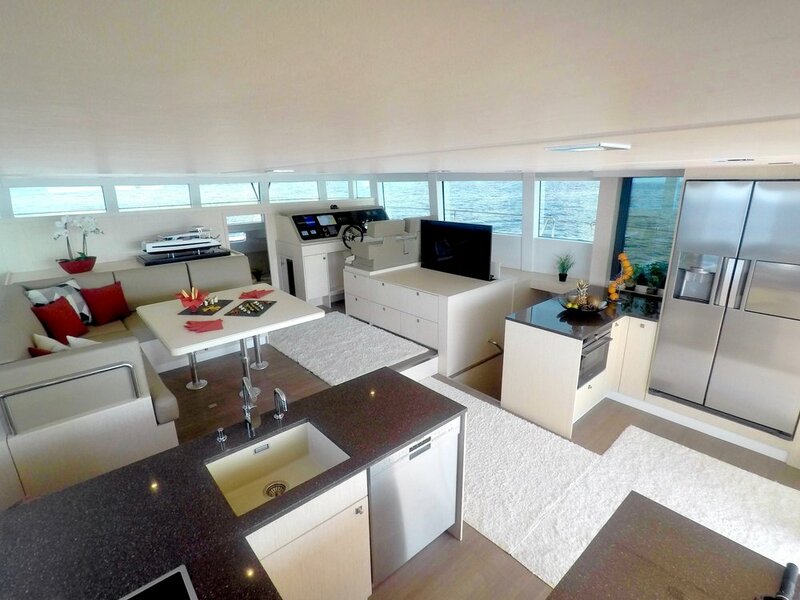 To discover a 360° panorama overview of the yacht Click Here.